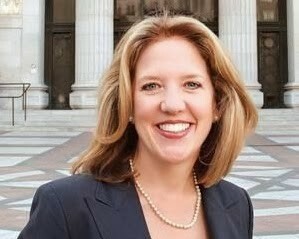 Oakland's former city auditor, Courtney Ruby, is returning to challenge current City Auditor Brenda Roberts in this November's election. Ruby said her decision is very much in response to Roberts' track record of producing few impactful audits over the past four years. "The oversight function hasn’t been well served," said Ruby, who is currently the director of administration and facilities at the Metropolitan Transportation Commission. "This is a really critical time when we don’t want to squander our resources. We need an effective oversight function," she said. Ruby was city auditor from 2007 to 2014 and unsuccessfully ran for mayor in 2014. Under her leadership the auditor's office carried out several major investigations, including an examination of the city's Fox Theater renovation project, interference in administrative affairs by city councilmembers, and mismanagement of the public works agency. According to an investigation by reporter Gabrielle Canon, morale in the auditor's office plummeted under Roberts, as did productivity. Several of Roberts' former employees have become outspoken critics. A phone call and email to Roberts' campaign committee treasurer Carlos Hickerson wasn't immediately returned. But Roberts has defended her record and told the Express last year that she has several important audits currently underway, which have yet to be released. One of them, a review of the city's 911 system, was issued in November 2017.